The next group that I want to talk about is an indie folk band that started in 2010 in Michigan. The band I am featuring today is called Lord Huron, who is currently made up of four male artists who all incorporate their own musical talents to the band. The day this group was introduced to me, I happened to be out boating with a friend on Lake Huron while Lord Huron's album, Lonesome Dreams was the soundtrack to our day. Interestingly enough, the name behind the band was inspired by Lake Huron. Lead singer Ben Schneider grew up visiting his cottage at Lake Huron where his nights were spent around the campfire jamming out with his guitar. Discovering this band was an amazing find for me because Lake Huron is a place that is very close to my heart as I have a cottage facing the Lake Huron beach-front. 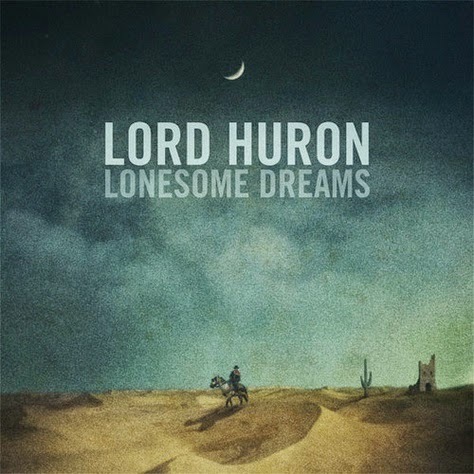 Since I heard the album Lonesome Dreams in the summer of 2013 it has been one of my favourite albums that I put on repeat on almost every day. When choosing a song to feature, I had the most difficult time because it was a challenge to pick only one. Every song on this album is so amazing that I recommend taking a listen to the entire album after listening to the featured song. Lord Huron has slowly been gaining popularity over the years and have recently been called out by Rolling Stone as an upcoming band to watch. They have also gained popularity due to being featured in a recent popular film. One of their most popular songs is called Ends of the Earth because it was featured in the film, Endless Love. I decided not to feature this song because of its growing popularity and instead feature another song on the album that is one of my favourites (though they are all my favourite). The song I am featuring is called Time to Run from the album Lonesome Dreams. This song definitely brings me back to the day of boating on Lake Huron and hanging out by the beach at my cottage on sunny summer days. On a side note, when listening to this song, do not be deceived by the slow calming start; it gets more upbeat and exciting at about 0:50 seconds in. Take a listen and enjoy! Now is finally the time to post about the band I love the most! This band is one of my top five favourite bands of all time and this indie group happens to be called City and Colour. I have been a fan of City and Colour for quite some time and my 'fan-ship' has grown for the band over the years. Every time I listen to a song written and performed by Dallas Green (the man behind City and Colour) I become completely captivated by the deep words he writes. As of today I have now been to two City and Colour concerts. I also have started a memorabilia collection with various City and Colour t-shirts and a signed Vinyl Record of The Hurry and The Harm (signed by Dallas Green himself). The song that I am featuring today is one of his most upbeat songs from the 2008 Album Bring Me Your Love. 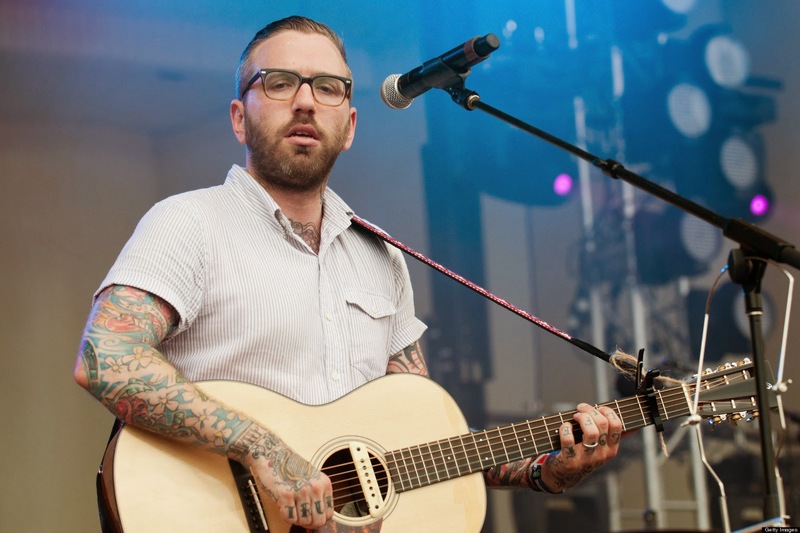 Normally the songs Dallas Green writes are very deep and depressing; which is something that I do not mind listening to because I feel as though it relaxes me. The song The Girl is one of my favourites because it is upbeat and has a happy tune that is easy to sing along to. One of my favourite lyrics pulled from the song is: "while I'm off chasing my own dreams, sailing around the world, please know that I'm yours to keep, my beautiful girl." There is something about this lyric that makes me thing of living a perfectly happy and fulfilled life. 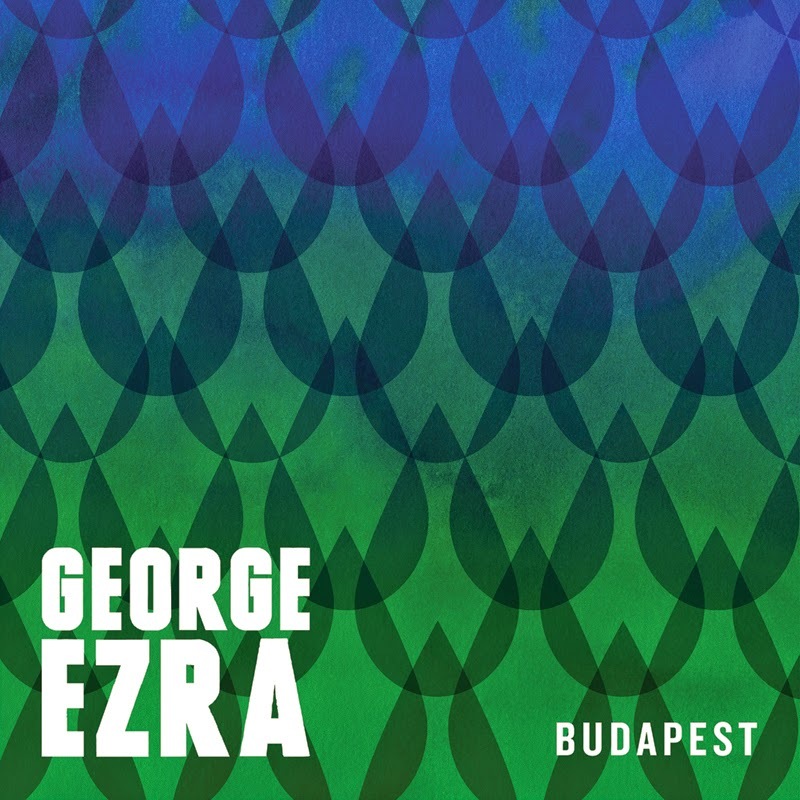 One of my new favourite songs that I have been listening to non stop is Budapest by George Ezra. The first time I heard this song was on the radio station called indie88 based out of Toronto. George Ezra is a new upcoming artist in the indie world from Hartford, England. At just 21 years old, Ezra has provided the indie world with amazing music that is reaching the top 10 on many charts around the world and number one on the charts in the Czech Republic, Austria and New Zealand. His album Wanted On Voyage was released in late June, 2014 and is slowly starting to become a huge success with the growing popularity of the song Budapest. Ezra was not only born with extreme musical talents but he also has experience with his music knowledge as he studied at The British and Irish Modern Music Institute in 2011. Some of George Ezra’s late musical inspiration comes from artists such as Woody Guthrie and Bob Dylan. In the popular indie music blog called, When The Gramaphone Rings they feature George Ezra on their Live Review section. They review him as being a breath of fresh air with a voice beyond his years. A breath of fresh air is a perfect description for Ezra’s song Budapest. This song brings me to a place of summertime drives and long sunny beach days. Listening to this tune brings me so much happiness and joy and I hope it can do the same for you! One of my absolute favourite things to do is attend concerts. I have probably been to over 100 concerts in my lifetime and I do NOT want to stop any time soon. One of the many concert I went to this summer was City and Colour. They are one of my favourite bands ever BUT the band that opened up for them absolutely blew my mind. 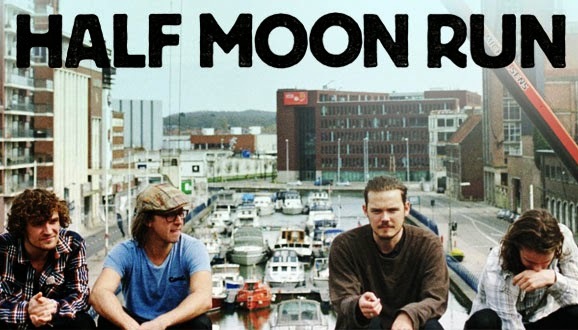 The group is called Half Moon Run. Prior to the concert I had never heard of them before and knew nothing about them. They played about 10 songs and I was floored by how amazing they were. The next day I downloaded every single one of their songs and today they are one of my favourite bands. The band is a Canadian indie rock band based out of Montreal, QC. They are made up of four members and are lead by lead singer, Devon Portielje. So far they only have one album called, Dark Eyes, which was released in March 2012 . This band is one that is up and coming in the indie music world. It is exciting to see indie bands that are not so popular but are on an upward climb to gain awareness and recognition for their amazing talents. The fact that the well known group City and Colour chose them for their opening act is a huge factor in helping them to gain a greater awareness to their name. The video posted this week is a song called, Call me in The Afternoon during a live BBC radio recording session. This is a unique song that shows the many talents of each individual band member. Not only does the lead singer rock it on the vocals but he also has some awesome drum solos that are like none other. Take a listen and enjoy. 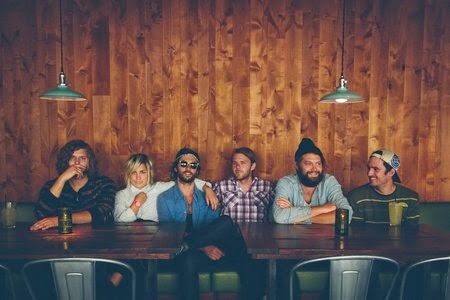 The Head and the Heart is an indie folk band based out of Seattle, Washington. So far this group has released two albums called: The Head and the Heart (2011), and Lets Be Still (2013). One thing I love about this band is their name. I believe the name represents the type of music they create and the type of artists they are as a whole. The music of this group is mentally and emotionally healing. The type of music they make is calming for the head, and inspirational for the heart. The song posted to the left is called, Another Story from the album, Lets Be Still. I absolutely love this song. It is one of those tunes that puts a smile on your face as you bob your head to the catchy beat of the song. This song is such a summer jam for me. It reminds me of summer drives up to the cottage or chill nights on the porch with a bottle of wine and good friends. "Another Story" makes me think of conversations with friends and the constant excitement of sharing new stories with one another. There are many experiences in life that make for great stories and this song brings me back to summer memories and stories from up at the cottage. What stories does this tune make you think about? Enjoy. I recently came across a band that is a talented group of artists who call themselves, The New Basement Tapes. This unique band is a collaboration of artists including: Jim James, Elvis Costello, Marcus Mumford, Taylor Goldsmith, and Rhiannon Giddens. The group formed in 2014, which was also the year they released their album called, Lost on the River: The New Basement Tapes. The unique story behind this group revolves around Bob Dylan and the dozens of hidden “basement tape” songs he had written in the late 1960’s. In the basement of a small house is where Dylan collaborated alongside other artists to create a plethora of hidden lyrics. The album, Lost On The River: The New Basement Tapes, is a process that has been going on for 47 years and was finally released within the last year. This album is a huge celebration of never before heard Bob Dylan masterpieces that were never released to the public. The New Basement Tapes have created something magical that was built from a legendary artist who brings so much talent to the music world. He was generous enough to share his hidden lyrics with the five artists that make up The New Basement Tapes. The song Kansas City is one of my favourite songs on the album. This song is a dishevelled love story about a broken heart and having to “pay for what you break”. Marcus Mumford from Mumford and Sons is the lead vocalist for this song and is also backed up by a wide variety of artists and instrumentals. This is such a captivating song that takes you to a deep place of thought and can bring out many different emotions when you follow along with the lyrics. Justin Vernon is the artist behind the indie band Bon Iver. He is one of those singers who I usually listen to on a daily basis. The calming tone of his voice has the ability to put anyone in a completely relaxed state. Vernon has a vocal range like none other and is known for the extremely high pitches he reaches in most of his songs. Bon Iver is a group that I can rely on to take me to another planet and to help clear my mind of all negative thoughts. Take a listen to any one of his songs and I guarantee it will put you in a calming state of mind. Some people say it is sad or depressing but I believe that it is calming and good for the soul. It is the type of music for yoga, rainy days, bed time, reading, studying, long winter walks and many more moments such as the ones listed. This video is a very unique interpretation of the song For Emma from the album, For Emma, Forever Ago. Why did I decide to write my blog about indie music you ask? The answer happens to be that it is my favourite genre of music for many reasons. 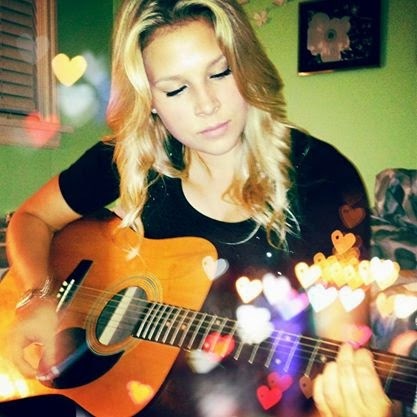 Indie folk music is a genre that I can turn to for many moments and experiences in my life. Whether I am sitting down trying to study, heading out for a long walk, trying to fall into a deep sleep, or practicing some yoga, this genre of music matches up perfectly to many moments in my life. There are also many moments in my life where I can turn back to and remember an exact experience or time in my life which relates to a specific song. Music has always been a passion of mine and is something that I am constantly searching out to find new artists and songs. This blog is dedicated to providing new music suggestions of indie folk artists as well as unique songs that I will be researching on a weekly basis. Sharing these treasures with you will bring me joy in the process of getting more people appreciating this genre. Though I do appreciate many other genres of music, the genre of indie folk genre is a perfect topic to write about due to the passion I have for this type of music. Another reason I am passionate about writing this blog is because my primary hobby happens to be attending concerts. City and Colour, Ray Lamontagne, Mumford and Sons, Half Moon Run and David Grey are some of the concerts I have recently attended, just to name a few. I have had many live experiences listening to this genre of music and am excited about sharing new artists with anyone who is willing to listen.